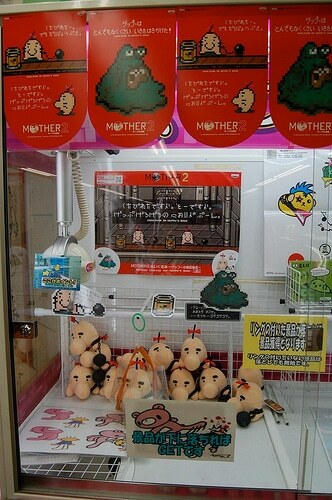 Been a lot of news about those new MOTHER 2 plushes in Japanese arcades lately, and here’s another. 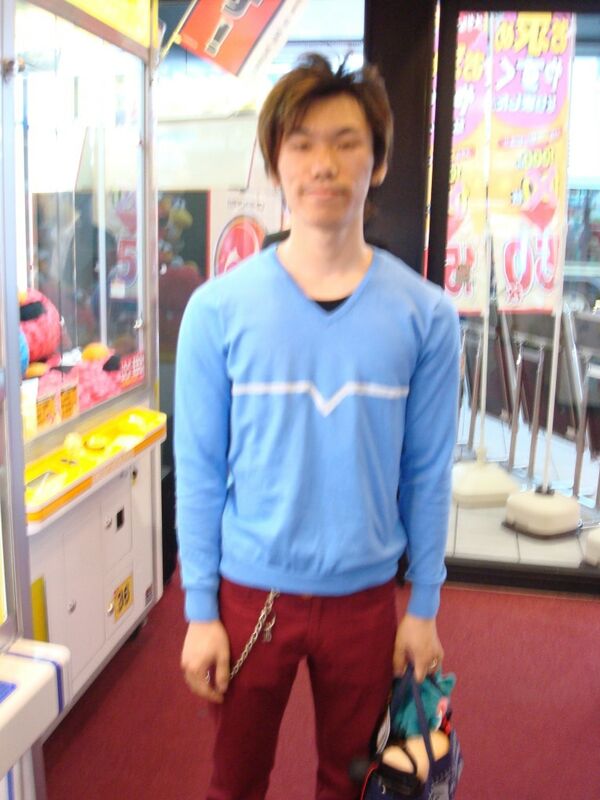 Both Chewy and Izumi visited different arcades there and got some pictures and information for us! I went to the event in Kyoto this weekend (the next stop on Saturnzilla’s tour) and I took a few pictures and videos including some of it in action. The girl at the arcade said there -was- actually someone inside of it. It was out for 20 minutes at a time, and made 4 appearances per day on Saturday and Sunday. Thanks for the info and media guys! As mentioned before, you can find these all over Yahoo Auctions Japan now, and they’ve even started to show up on eBay. 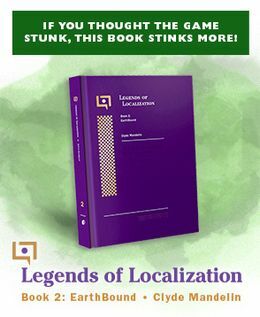 They’re around for a limited time only, I think some new MOTHER 2 stuff is going to replace it soon probably. That first picture: how DO you win something from that? Stuff like this sometimes makes me wish I was Japanese and could freely commute from there and here. Oh well, Chinese is good enough. It may not be my country, but there’s something thrilling about seeing EB stuff on store shelves again. OMFG at that poster in the back of the claw machine! I’d kill to have that thing! Okay, am I hearing this wrong? 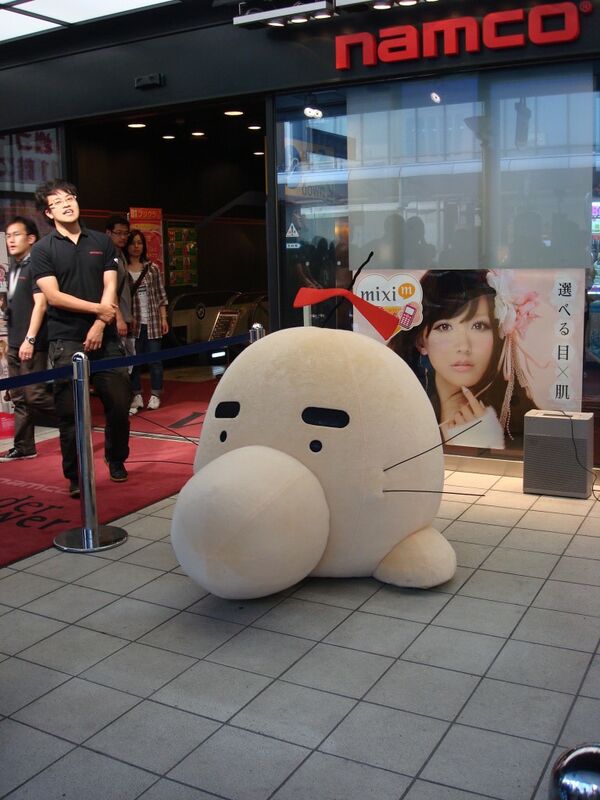 Is there someone actually inside of the giant Mr. Saturn…? DO WANT! and I plan on it next month. Ack, yeah, I want all those stickers and posters and stuff! I wonder if Itoi requests that 3 of every item that is produced be sent to him so he can keep them. I know I would if I created something so awesome! Onion, man, I was about to make the same comment. I had the same reaction when I saw that poster. I REALLY want one of those. Something about it is very appealing. 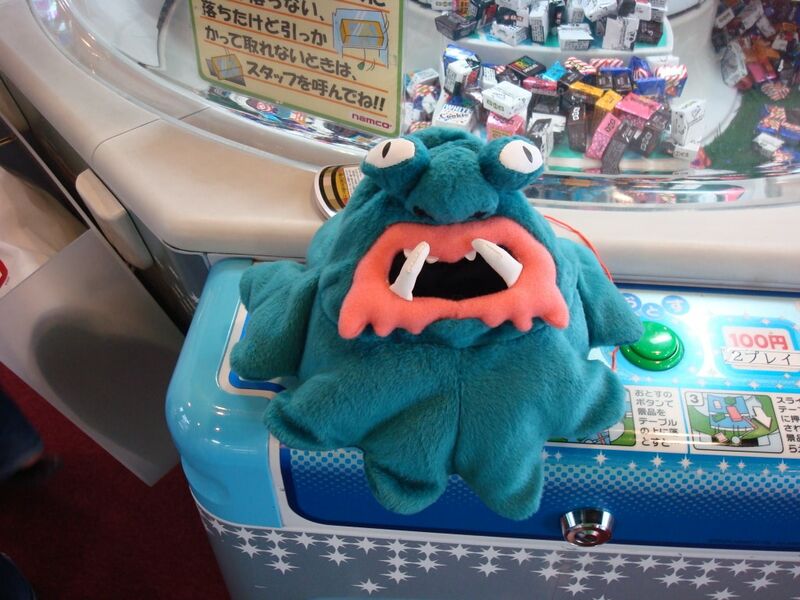 The arcade employees undoubtedly hoard them. They did, after all, apply to work at an arcade. That’s so bizarre though. 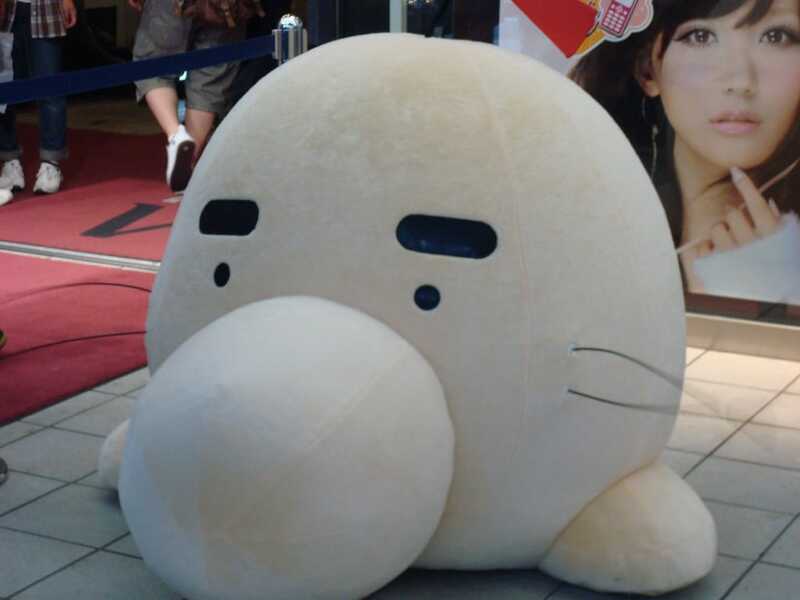 I thought I remembered specifically hearing that big Mr. Saturn is electronic. How did the person walk forward in the Itoi youtube video when the thing’s only big enough to curl up in a ball inside? Oh, as if Mr. Saturns weren’t mysterious enough already..! Awww, Chewy beat　me to sending in Kyoto pictures and videos! My video was super short, anyway. We must have been there within a couple hours of each other. I didn’t see any Master Belch plushes there when I went, though. 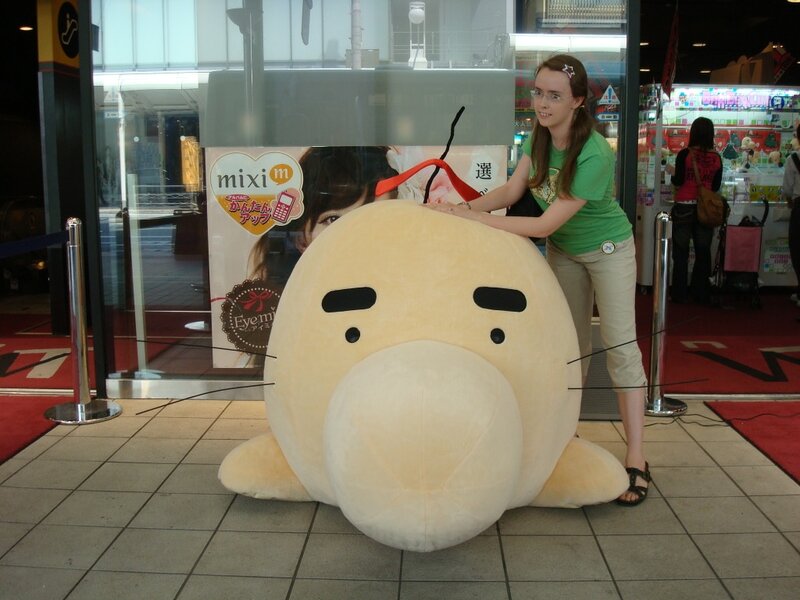 They were really stingy with the Geppus here at the Taito Station in Osaka as well, though I did actually see them. They had one per game, and it wasn’t actually reachable with the crane :'( You would have had to pull out several Saturns before it was freed from it’s Mt. Doseisan prison. I was able to get two Saturns from Kyoto. Thankfully the “Barbershop” type game was fairly easy to win at. I ended up using 500 yen for each and freeing them on the final round in both 6 round games I played. Lucky! 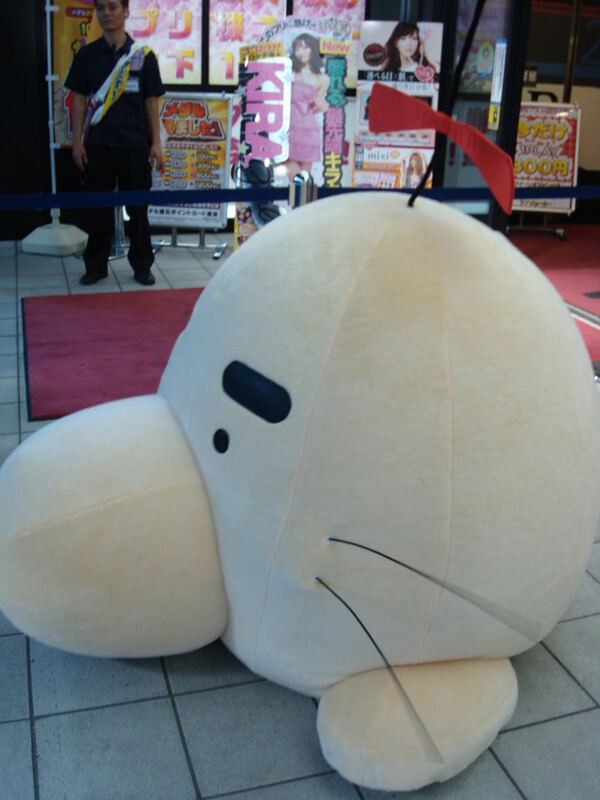 Kinda disappointed that Belch isn’t substantially larger than Mr. Saturn, though I guess that’s inevitable. 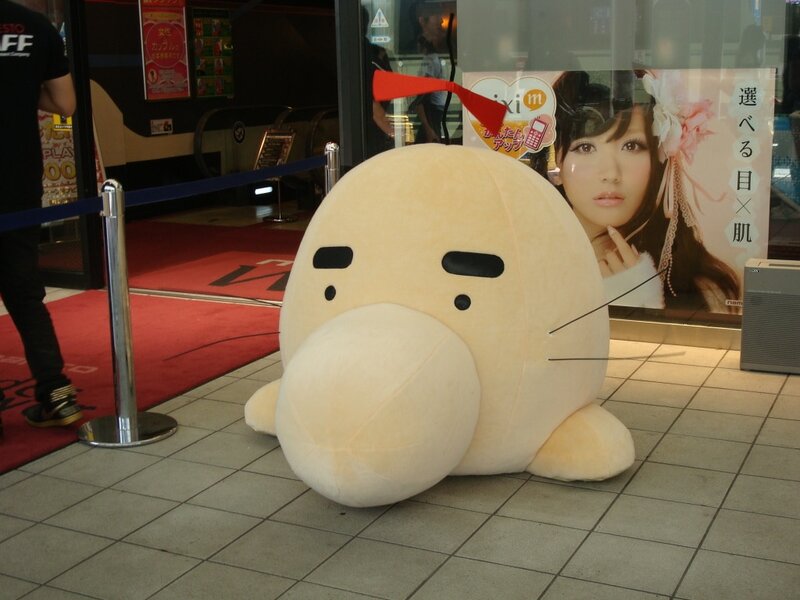 I’m wondering, can the ball-and-chain be removed from the Mr. Saturn? Does anyone know if there are planned releases of other Mother 2 plushies? Like Ness, Paula, Jeff, Poo, Venus, Buzz Buzz, etc, etc…..? I guess Tokyo is more difficult then Kyoto. 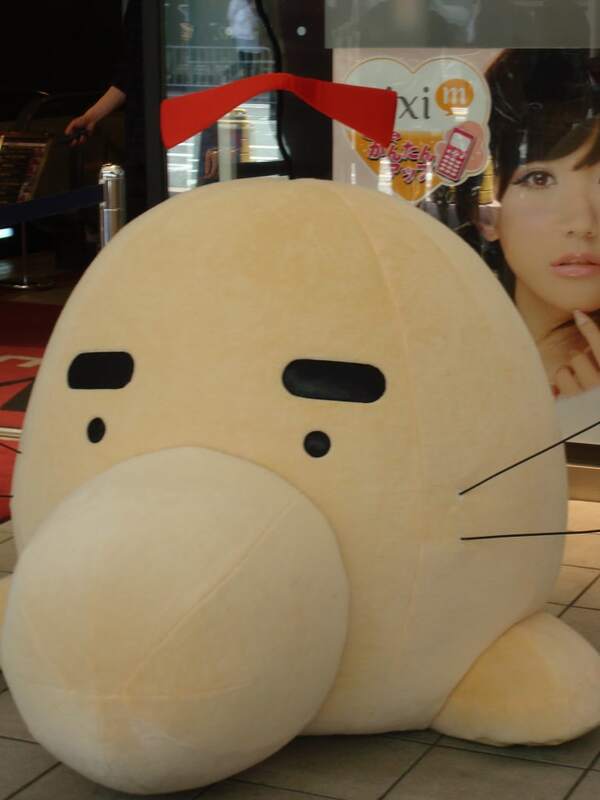 Some people tried this machine,but,they paid over1000yen per 1Mr.Saturn. Probably,they gave it up for about over3000 yen. I heard the doll of the character of Mother1&2 is planned in this summer. maybe,I should learn the usage of eBay. Agh! Stop teasing us Japan! Wait, so is there someone inside it? But wasn’t it plugged into a wall in that first video of it with Itoi? I mean, even if there was someone in it, wouldn’t that be horribly awkward? I mean, would they just crawl around? And there’s nowhere to see from it! I am the man inside the Mr. Saturns. Now the secret of my username is out. Ugh, why is this always in the news now? 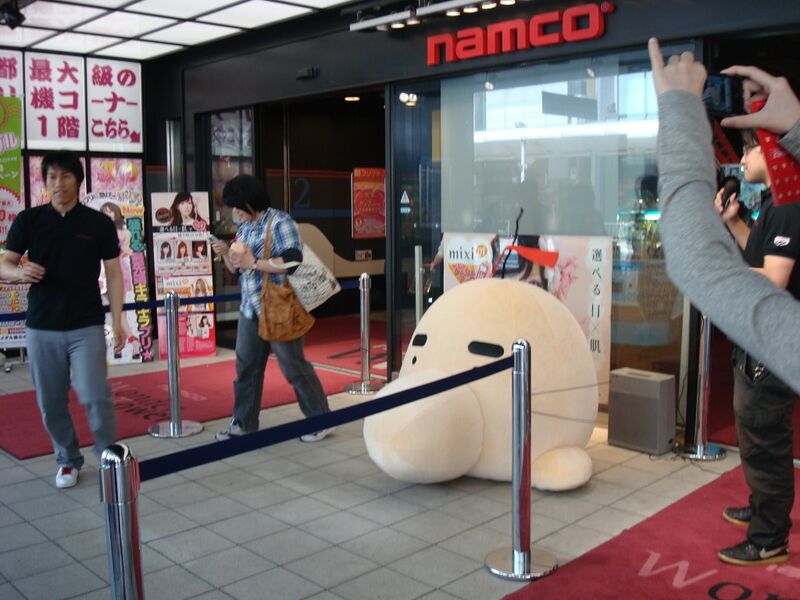 Plushes (ESPECIALLY the Mr. Saturn ones) are nothing that needs this much coverage. Izumi, we had it SUPER easy with the barbershop game. 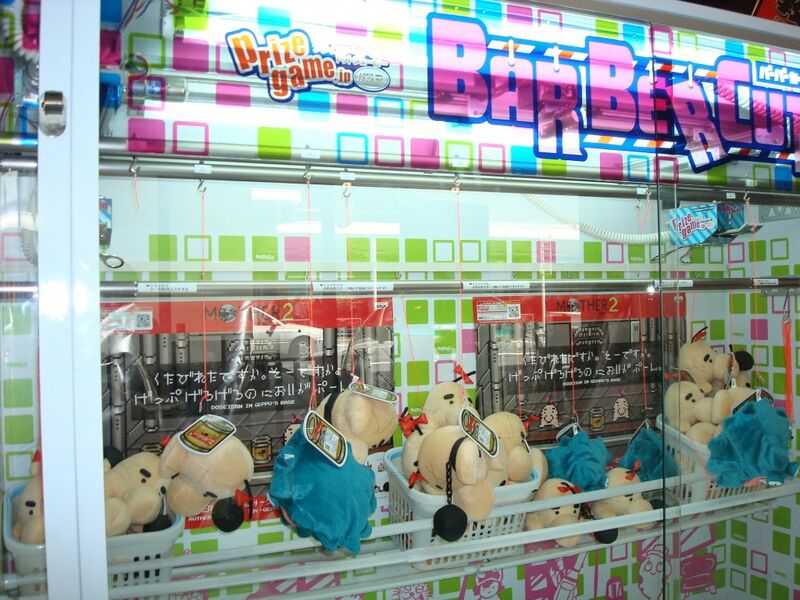 Not only is it way easier than the crane game, it’s way cheaper (6 plays for 500 yen rather than 3 plays for 500 yen). I’m in Kobe now, just checking to see if there are any arcades here that have them. Acedio, great that you happened to be in Japan at a time like this! Thanks for the Kobe info. I guess I lucked out huge showing up when I did on Saturday, I managed to net two Belches in the barbershop game, hehe. Dang it!!!!!! The prize game “Barber Cut” is in US!!!!!! 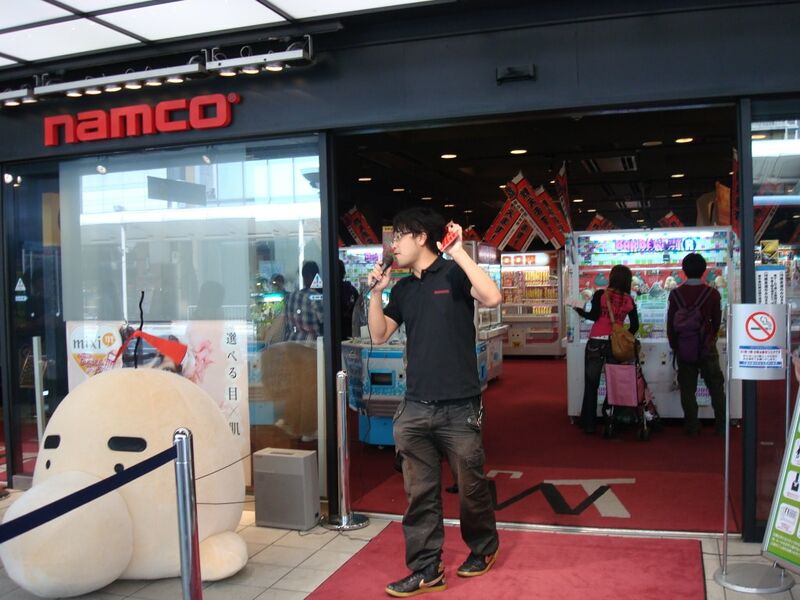 I won a freakin Ipod Touch, Yet they have it in Japan with Mr.Saturn and Belch plushies?!?! ?WTF!